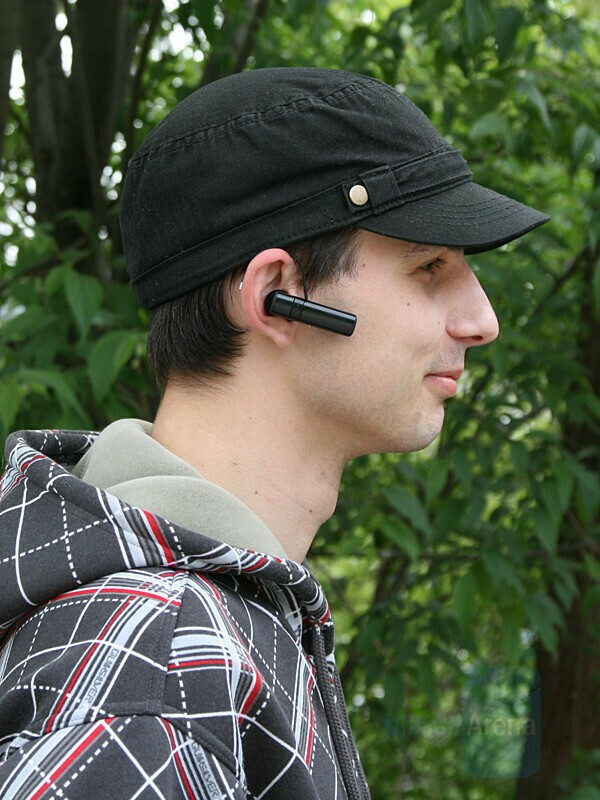 Nowadays, choosing a handsfree is a hard task, because the market is flooded. Some people prefer something simple, just as long as it does the job. 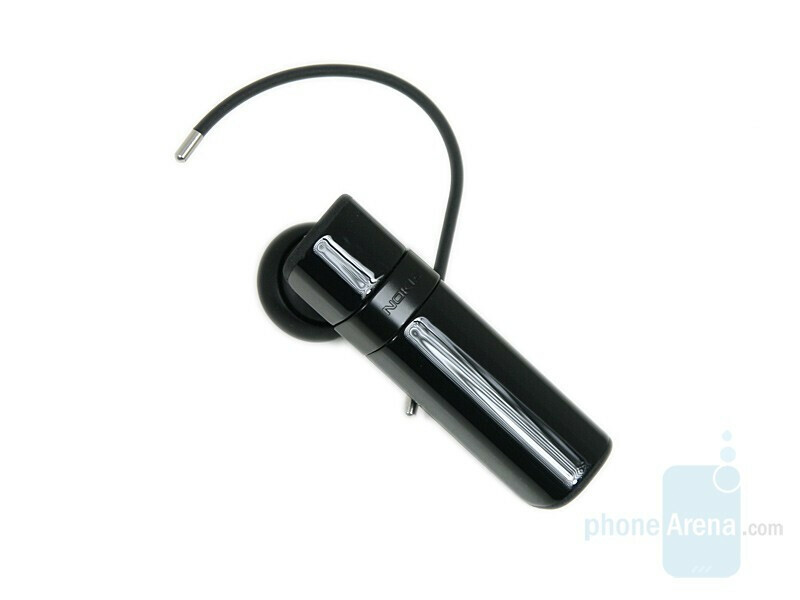 Others, want a device that will look good on their ear, and at the same time to be light and to deliver a good sound quality. Nokia offers a solution for the second option. BH-803 is a combination of an elegant vision, DSP system, fast charging, and a „unique” volume and mute control. It is not a coincidence that the manufacturer offers the same device, included in the package of the high-end models like 8800 Arte. 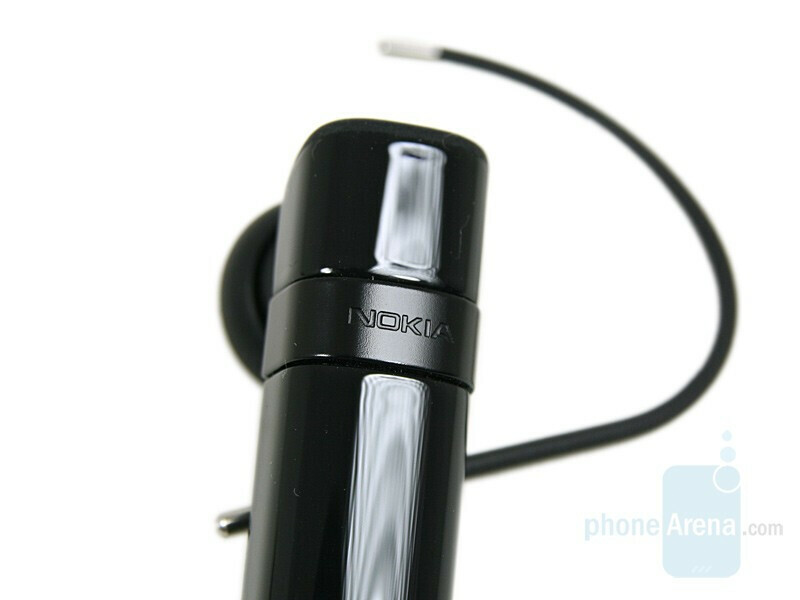 Even at first sight, Nokia BH-803 catches the eye with the elegant and clear design. There are two color variants, but we doubt any of them would disappoint you: one is entirely black and the other is a combination with a silver button. We have on our hands the first one, which is clearer and more inconspicuous. Well, the fact that this model is included in the package of the Arte, doesn’t mean that it is made of the same materials, because if the case were such, it would weigh more. 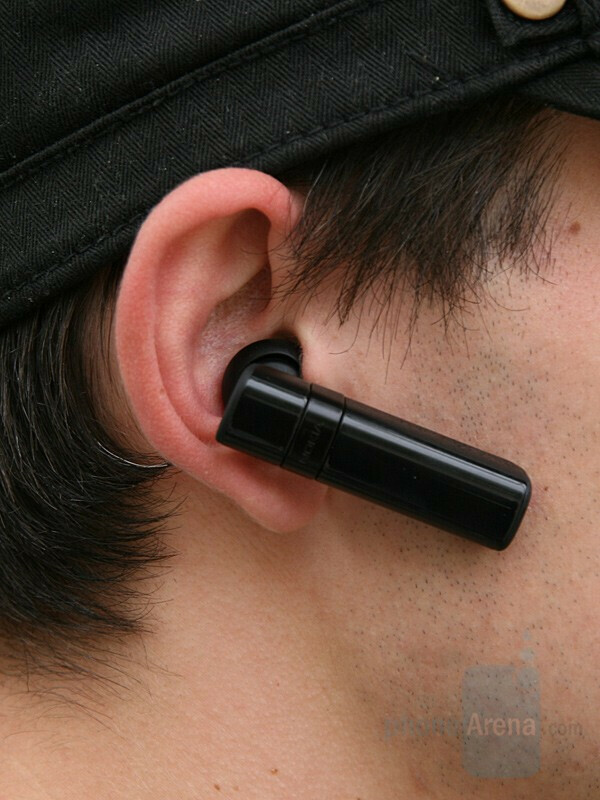 For manufacturing the earpiece, the company has chosen a nice to the touch plastic material, which is shiny and smooth on the front and sides, and matte on the back. As always, the glossy part is a fingerprint magnet. 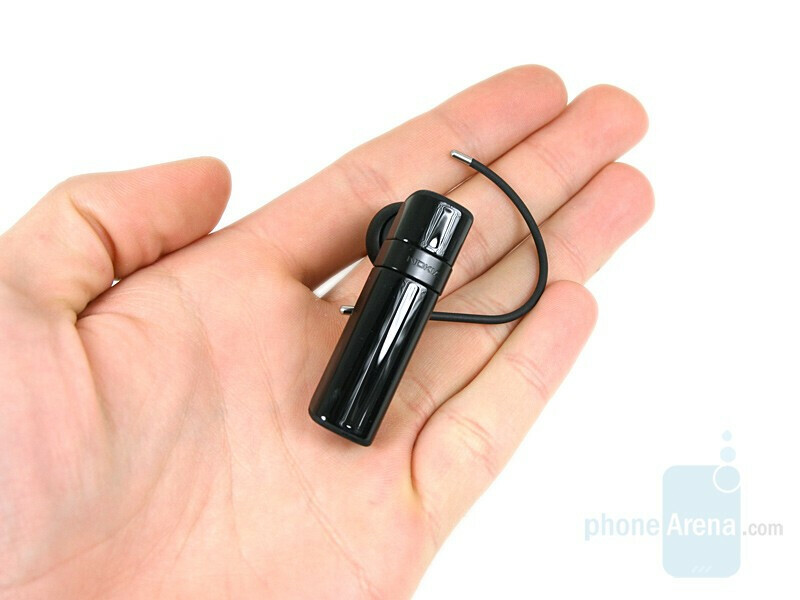 The device weighs 0.38 oz (11 grams), which is average, compared to similar devices, such as BH-702. On the front, only the multifunctional button is visible. It is easily distinguished, visually and by touch, from the front panel. Although easily felt, pressing it is hard and unpleasant. An interesting innovation here is the volume control. The buttons have been replaced by the touch sensitive surface under the multifunctional key. By running your finger up/down, you can turn the sound up/down. This system sounds very user-friendly in theory, but actually, that is not so. Every time you have to turn the volume up, you have to slide your finger upwards on the surface, which makes the entire earpiece unstable and is very likely that it’ll fall off. We recommend you holding the BH-803 while increasing the sound strength. 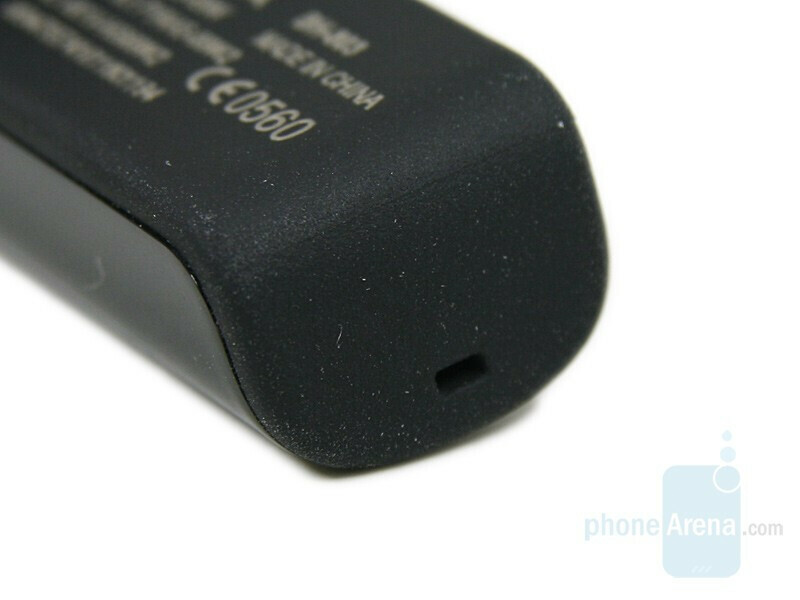 On the top, we find the microUSB slot for charging and the LED indicator. The lack of a cap for the connector disturbs the overall design, but is not a big drawback. 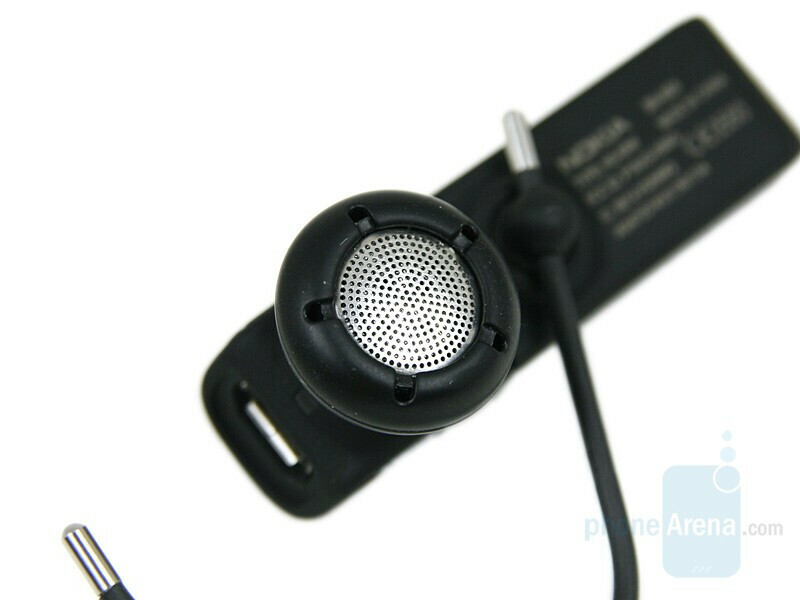 The opposite side is slightly skewed, so that the microphone hole points to the mouth for a better sound wave reception. 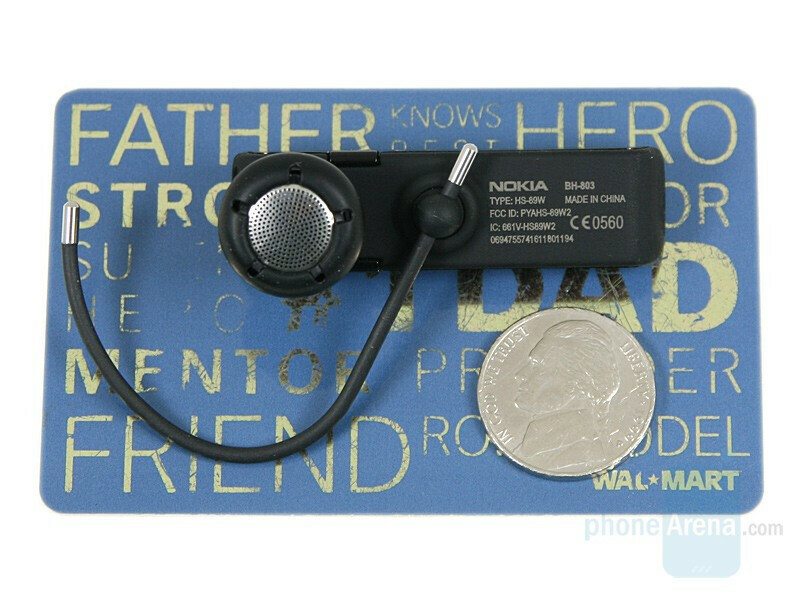 The speaker, in a rubber coating and the rotating hook holder are on the back. 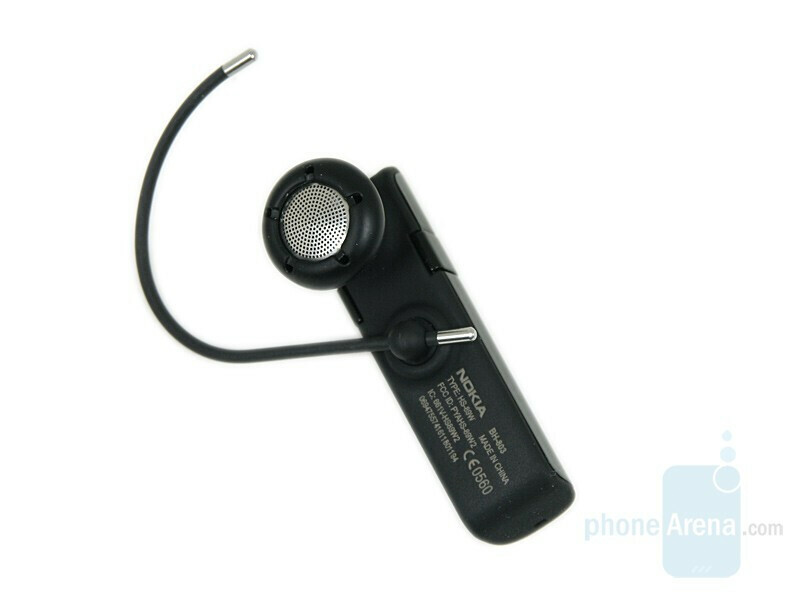 Initially, the additional hook from the package has not been fastened to the device and attaching the BH-803 to your ear is easy and can be done singlehandedly. If you use the hook however, the procedure is not so simple, but is still uncomplicated and you will manage to do it with one hand without difficulty. 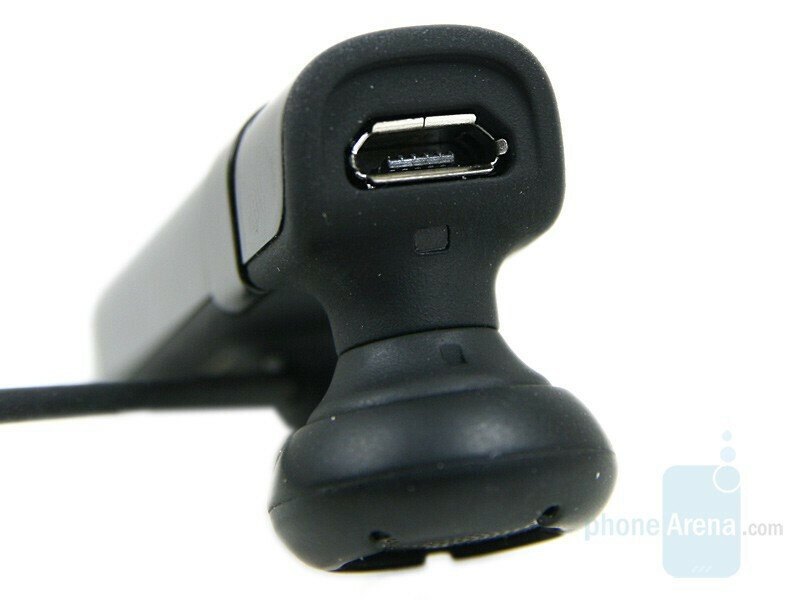 The stability and the way the device is rests, depends entirely on your ear. 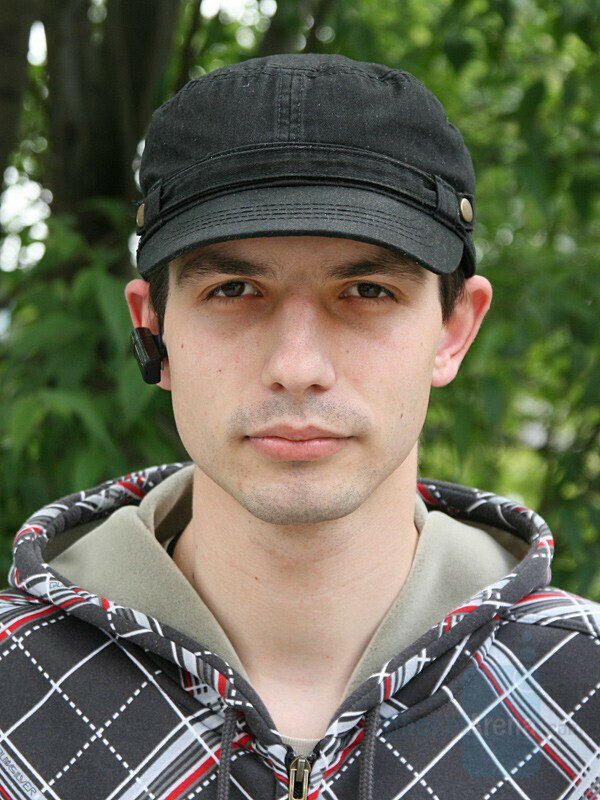 A part of our team argued that it was better wearing the device without the hook and others thought that the fastener gave a more secure feeling to the user. 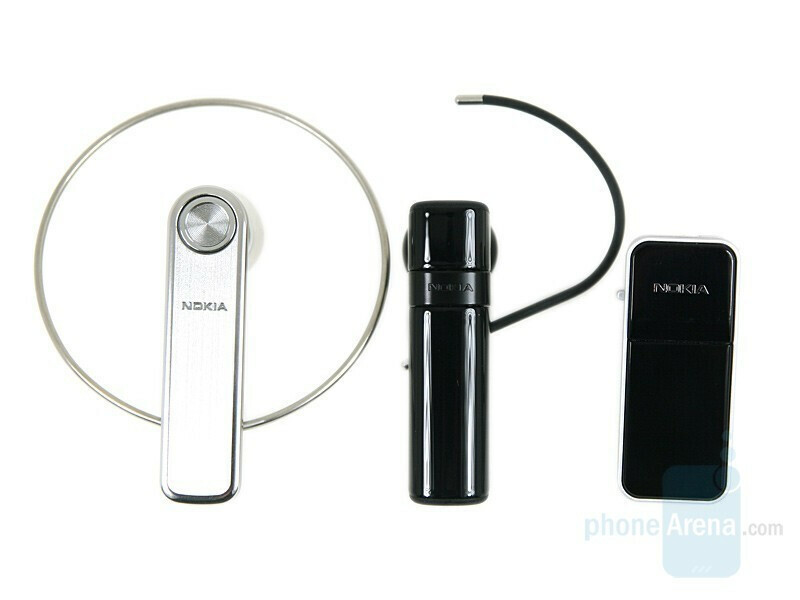 This disagreement was due to the fact that sometimes (depending on the user) the Nokia earpiece was stable in both cases and in contrast, other users experienced difficulties no matter how they had the device attached. If there were additional tips included in the package, things would have been different, but since there aren’t, you’ll have to check for yourself if you’re feeling comfortable. We gave up after about 3 hours with BH-803 in the ear, using the additional hook. Without it, we couldn’t go for more than 30 minutes, and we were aware of the device in both cases.